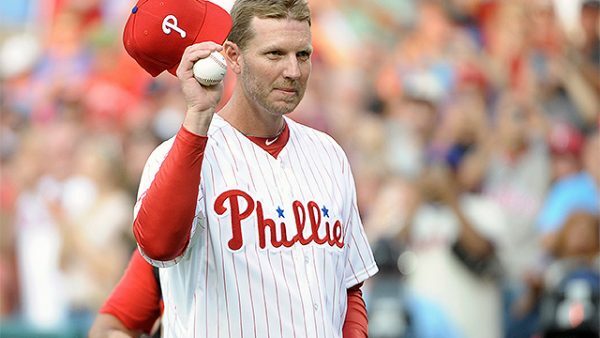 A terrible tragedy for the Halladay family and Baseball in general, as news of Roy Halladay dying in a plane crash has emerged. The two-time Cy Young winner crashed a single-engine Icon A5, an amphibious airplane, in the Gulf of Mexico. The Pasco Sheriff department in Florida reported the incident, after the office’s marine unit responded to a call earlier today. The call said that an aircraft matching Halladay’s tail numbers was upside down in shallow waters. The FAA will arrive later on to investigate the circumstances of the crash, which occurred into water that was 6-feet deep. Halladay, 40, was a major league pitcher from 1998 to 2013, making 8 All-Star games and winning the Cy Young in 2003 and 2010. He played 12 seasons for the Toronto Blue Jays and 4 with the Philadelphia Phillies. He is one of 23 major league pitchers to throw a perfect game, achieved on May 29, 2010 against the Florida Marlins. He also had a postseason no-hitter that year, his first with the Phillies. Playing in 416 games and starting 390 of them, Halladay posted a 203-105 career record, with a 3.38 ERA and a 3.58 So/W ratio, often leading the league in that category. He was known for his low 90s, two-seam fastball and one of the game’s most unhittable cutters. He led the league in innings pitched four times and complete games 7 times. Born in Denver Colorado, Halladay later lived in Tampa, Florida. He had two children with his wife, Brandy.